SAN FRANCISCO (KGO) -- The first rain of fall is expected to hit the Bay Area this weekend. 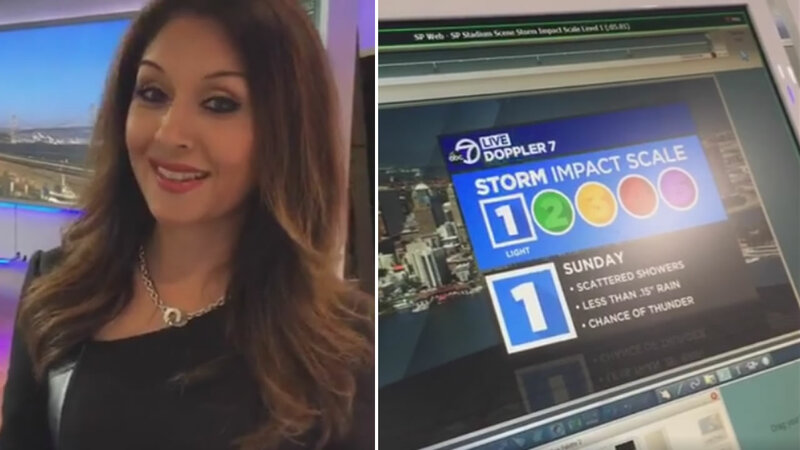 Meteorologist Sandhya Patel says the storm on Sunday will rank as a 1 on the ABC7 Storm Impact Scale. We'll be expecting scattered showers, a chance of thunder and less than .15 inches of rain. Click here to follow ABC7 Meteorologist Sandhya Patel on Twitter and click here for the latest weather updates.